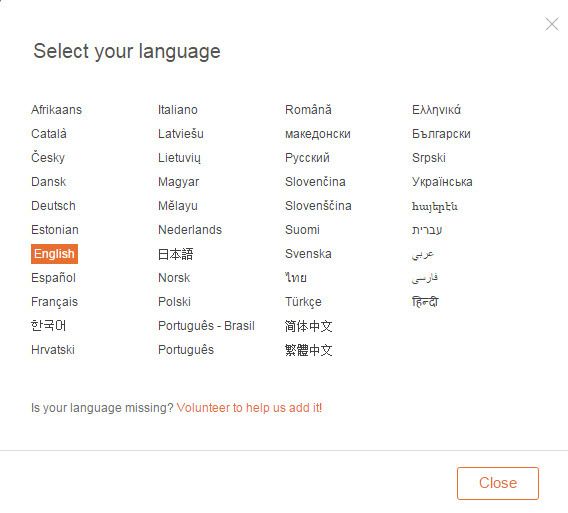 What languages does MyHeritage support? We currently support a total of 42 languages on MyHeritage.com and in Family Tree Builder. This means we now cover more than 85% of the languages spoken on the web! Available languages are: Afrikaans, Arabic, Armenian, Bulgarian, Catalan, Chinese-Mandarin, Chinese Traditional, Croatian, Czech, Danish, Dutch, English, Estonian, Farsi, Finnish, French, German, Greek, Hebrew, Hindi, Hungarian, Italian, Japanese, Korean, Latvian, Lithuanian, Macedonian, Malay, Norwegian, Polish, Portuguese, Portuguese - Brazil, Romanian, Russian, Serbian, Slovakian, Slovenian, Spanish, Swedish, Thai, Turkish, Ukrainian. Can I change the language on my family site? If you are a new member you can start building your family site in your own language and ask your family from around to world to join you. The site is available in 42 languages thanks to all the volunteers who helped us translate!